Biomedical applications require nanocrystals with a narrow emission spectra and low toxicity. One major challenge of using quantum dots (QDs) in biomedical studies has been to synthesize them in large quantities while retaining desirable optical properties. 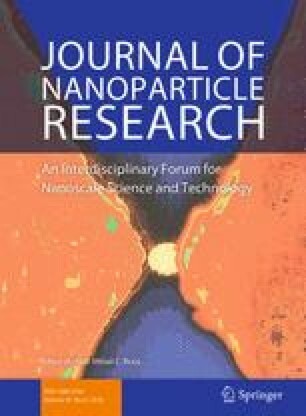 To date, no research has been carried out to scale up the synthesis of InP/ZnSe nanocrystals. In this regard we synthesized InP/ZnSe nanocrystals using lower volumes and masses and scaled up the synthesis while retaining their molar ratios. The properties of the products obtained in small scale and scaled up syntheses were compared in regard to changes in particle size, emission wavelength and the trend of fluorescence of the aliquots. The particle size for the small scale reaction was determined to be 4.18 nm. When the synthesis was scaled up by a factor of 2, 4 and 6, the sizes were found to increase to 4.31, 4.13 and 4.37 nm, respectively. We also demonstrated the ability to tune the emission wavelength by sorting the particles in the crude product to different sizes. The size sorting process gave QDs with varied emission wavelengths and also narrow emission spectra. We further demonstrated a facile method for their water solubility as well as suitability for various biological applications. The toxicity of the synthesized InP/ZnSe nanocrystals was investigated. The cytotoxicity studies were carried out using two different types of non-cancerous human cell lines, namely KMST6 and MCF-12A, which clearly showed that the nanocrystals have low toxicity and are suitable for biological applications. The authors are indebted to DST/MINTEK Nanotechnology Innovation Centre, Nation Research foundation (NRF) and the University of the Western Cape (UWC) for financial support.